The show has come and gone and since I have a day job I am just now getting to post about my time in Salt Lake City attending Summer OR. I really need to get to these earlier as everyone else already has their posts up about the show. The only difference here is that I will have a post up shortly after this about my time after the show in Salt Lake City hanging out with Black Diamond. I got a tour of their facilities and then climbed in Maple Canyon. Check back soon to see the report about that. 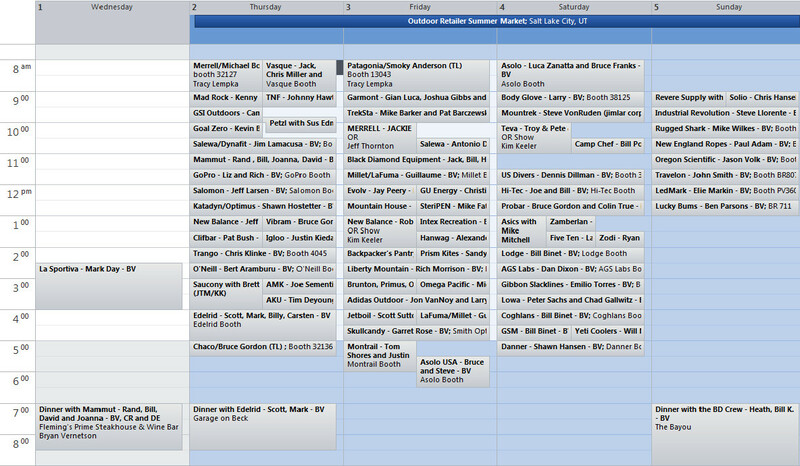 As you can see, from my schedule above, I am incredibly busy at Summer OR. I have to meet with over 125 brands and I rarely get to them all, but always touch base with them before or after the show to be sure that any opportunities to get great gear for Sierra Trading Post do not slide by. This year we also have a second site that we are running focused on young professionals. Check it out...it's Derailed. 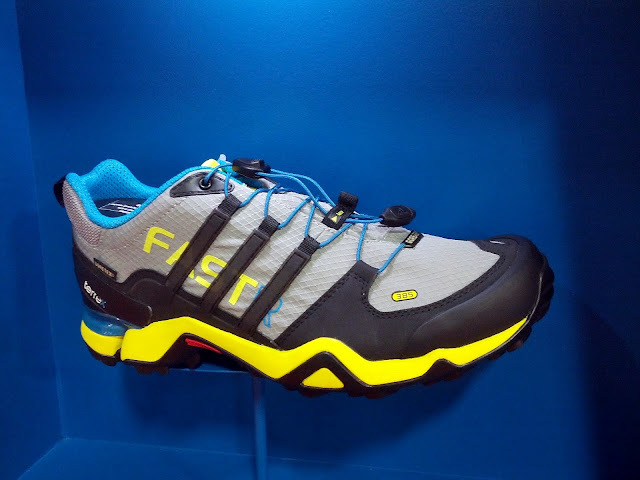 Summer Outdoor Retailer was great and I was incredibly busy, but there was a lot of gear I saw worth talking about so read on to see photos and accounts from the show. Summer OR is a rat race for STP. 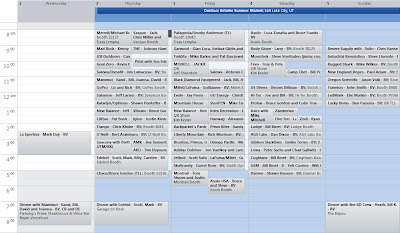 We have over a dozen people there trying to make deals and get great product for both STP and Derailed. I run from one end of the show floor at Mammut to the other with Body Glove or New Balance. Because of this I really don't get to stop and look at all the cool gear on the aisles. However, every meeting I have there is always a quick chat about the new product at the show. 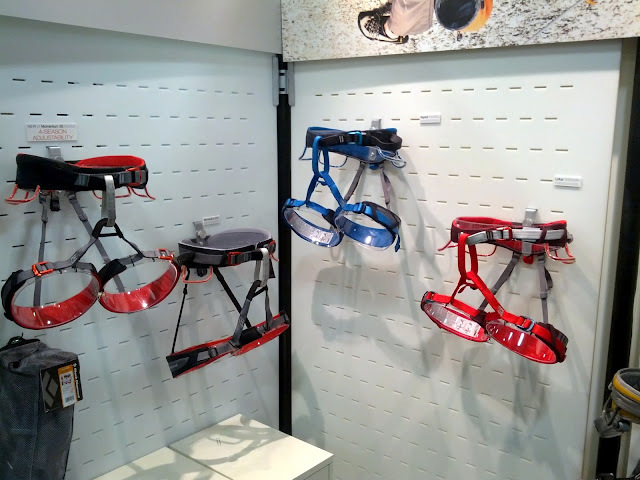 Meeting with Petzl the first day, their headlamps division manager asked me what I thought of Mammut's new crevasse self rescue system. I said, "I haven't seen that yet, but I meet with them after this meeting, so I will take a look." That's the type of chitchat that happens before the "actual" business starts which makes the outdoor industry so interesting. Everyone is interested in the latest and greatest gear. They all want to see the new technologies that brands are employing to improve product. 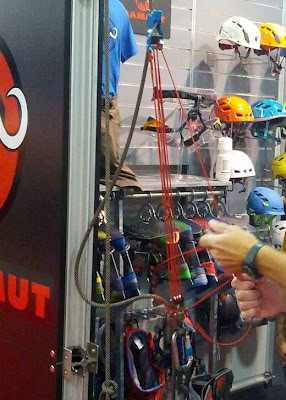 The RescYou system below from Mammut packs down to the size of a helmet camera or two and weighs probably as much as 10 locking carabiners. Easy to carry with you on a summit trip and worth it just in case the worst happens. 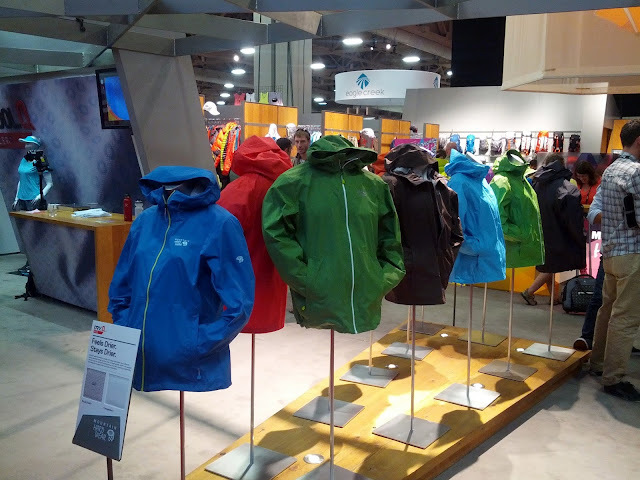 From Mammut and Black Diamond to Big Agnes and Mountain Hardwear there were thousands of brands debuting new product and technologies. 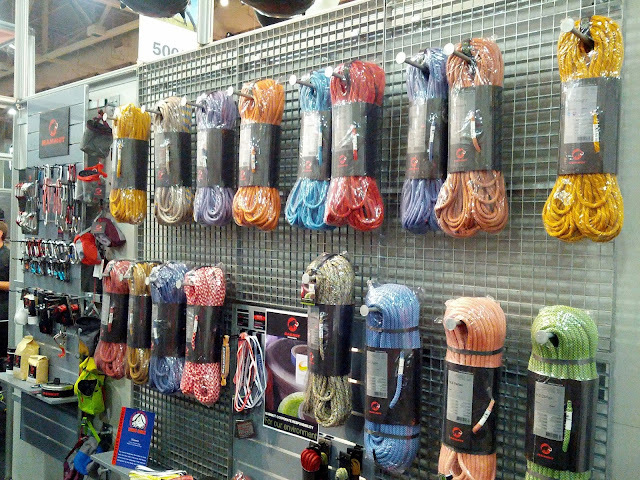 Mountain Hardwear has been at the forefront of this with their new Dry.Q and AirShield technologies, helping them to rely less and less on Gore Tex and their fabrics. Their Dry.Q shell technologies are bombproof and the new AirShield is basically Mountain Hardwear's take on Windstopper and Polartec Powershield technologies. Very cool to see them completely bucking the trend and creating their own innovative fabrics. Black Diamond has been turning the climbing industry inside out the last couple years because of their new innovative designs as well. 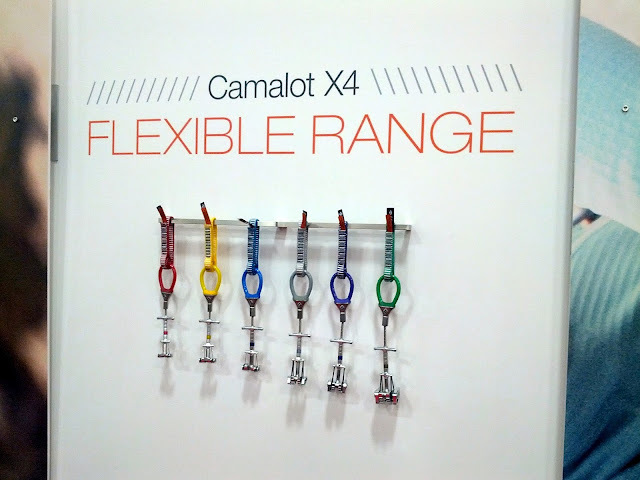 Alien like small camming units, magnets in carabiners, lightweight but durable harnesses and a pack line that rivals any traditional pack brand out there. They are doing some really amazing stuff!!! 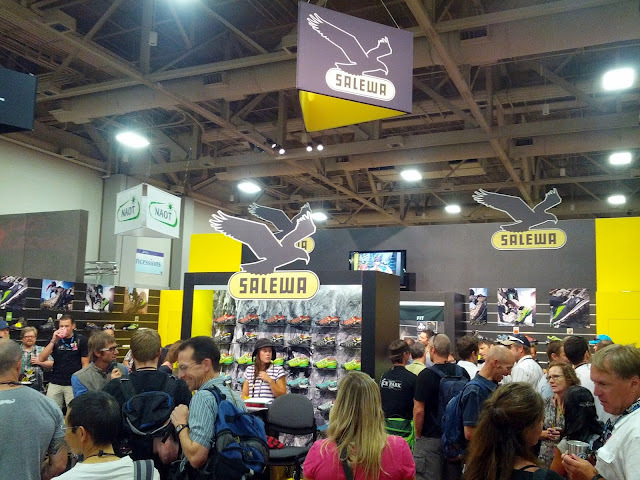 Check out the photos below and let me know what your favorite product was at Summer Outdoor Retailer. 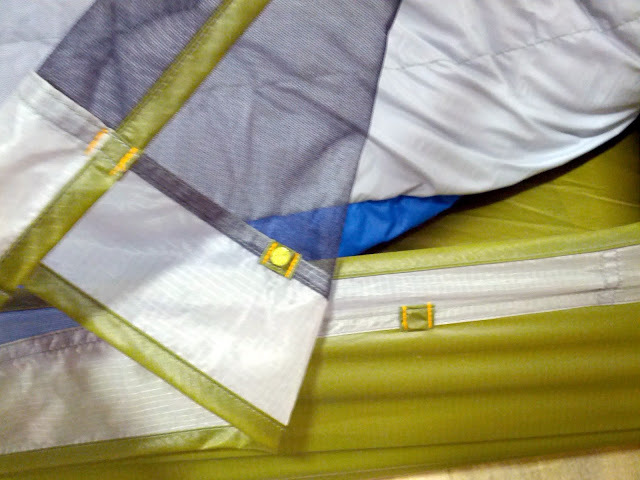 One of the most innovative new technologies at OR was Big Agnes's idea of a zipperless tent. Anyone worth their salt in the outdoor industry knows that zippers are always the heaviest piece of any gear. This is why you see more and more lightweight packs with role top closures and few zippers or maybe no zippers at all. You also see less pockets on jackets because again, brands can cut weight most efficiently by removing zippers. Big Agnes took this a little further. As you can see from the photo above (a little blurry, sorry) there are no zippers on their new tent. It is still in a prototype stage, but they have basically embedded tiny, but amazingly strong, magnets along the door closure for the tent. An extra flap helps to seal the closure from bugs, but overall it is a pretty good design. I can't wait to see the finished product. 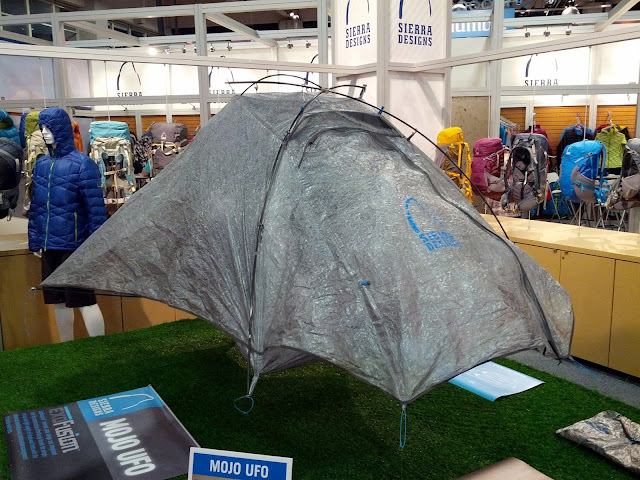 One other tent was Sierra Designs's new lightweight tent, the Mojo UFO. It is over $1,000!!! For that price point you get a tent that weighs less that 2 pounds, but is a full size 2 person tent. They did this mostly to show that they could, but the new fabric looks like a promising single wall tent technology...once the price comes down. Again, sorry this is late, but better lat than never, right! I hope you enjoyed the read and don't forget to look for my report on my Black Diamond visit coming soon. Thought that looked like a zipperless tent entry. Sick idea. I'd be willing to give it a shot. Yeah, it looks pretty cool and should work fine, but i am definitely a little skeptical. My main concern is whether the closure is good enough to keep bugs out. Other than that i would be interested in giving it a go as well. We'll see.